Broadcast dynamic, compelling content over a coordinated network of digital displays to deliver your message to your target audience. Automate timely, hassle-free messages with complimenting software. Plug-and-play or learn the intuitive Pro features to optimize your system for your needs. Digital Signage is a system network of content, devices, and cables to meet the goal of presenting relevant and appealing information, both pre-made and live, to more communicate within a high functioning and user-friendly environment. This streamlined pathway of communication has evolved into one of the most popular methods to providing compelling, location-appropriate content directly to eyes of less observant viewers. Whether you are choosing kiosks, LCD monitors, HDTVs, touchscreen monitors, plasma screens, electronic billboards, or other media, Digital Signage can help you effectively get your message across. With Digital Signage technology, you can choose the right interactive visual tools for your digital network needs. Create more visibility for your growing business and incorporate any application; i.e. eye-catching advertising, moving menus, live video. 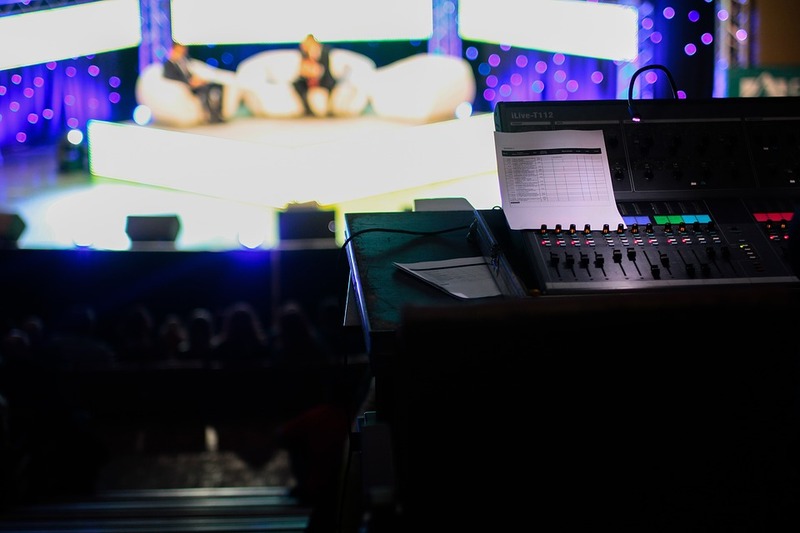 Setup could be as simple as a box attached to a TV plugged into a laptop updated once a month or as complex as a matrix system with hundreds of TVs and sources, all independently switchable with live streaming video, like a sports event or news station. What better time to connect with your customers than when they are already in your store looking to buy? Boost retail sales and increase customer traffic patterns with timely, automated cross-marketing campaigns. Are you looking to improve your brand recognition, launch new products, or find an additional outlet for co-op marketing? Build your Brand with instant eye-catching messages and images where it matters most, in front of your customers and target audience. How do you deliver critical company information throughout your office? Keep your employees and visitors in the loop with the latest news and updates; ranging from progress toward company goals and event reminders to birthday announcements and inspirational quotes to help lift employee morale. Sell advertising space to others. Quickly tailor and cater information to your target audience. Manage and distribute to as many locations anywhere in the world, manually or automatically, while managing content live down-to-the-millisecond. Count on one hand the key elements of a functioning digital signage setup. There are many factors to take in consideration when building your digital signage system. A few are listed below. A digital signage network includes a group of centrally managed and addressable digital displays that present content to a targeted audience. Utilizing devices with the appropriate digital signage software, whether controlled locally or managed over IP, allows content to be modified and controlled with ease. and to provide informational updates to consumers at locations like banks, airports, and museums. What are you waiting for? Let’s create your first Digital Signage Network or optimize your current system. High-quality, audience-specific content is a key element to the successful implementation of a Digital Signage solution. One of the main benefits of digital signage systems is that they facilitate narrow-casting (targeted media transmission) to a closely defined group. Whether you are using existing content from a current marketing initiative or creating new content, Digital Signage software lets you deliver compelling content over your Digital Signage system, including text, pictures, video, and audio. Digital signage software programs make it quick and simple to add, remove, and modify content allowing messages to reach the targeted audience without delay. Delivering time and location-appropriate content that reflects your company’s brand messaging lets you to take full advantage of brand-building and cross-marketing campaigns plus maximize audience impact and participation. There are several software packages available to help you create, manage, and deliver content in real-time for immediate distribution to your target audience. DirectNET’s 42U team of highly-qualified and experienced sales engineers can help you select the Digital Signage software that will meet the needs of your application and deliver your message where it matters. If you already know what hardware and options you want, and are ready to buy now, explore the Digital Signage Page on our partner’s site, KVM Switches Online, to take advantage of fast, free ground shipping for online orders over a hundred dollars (of course, some restrictions may apply). Simple category 5 cable (Cat5) cabling provides an easy, efficient, and traditional approach to extend audio and video (A/V) signals across a room or common areas. Combining Cat5 or CATx cabling with A/V extension products creates an easy way to implement resourceful Digital Signage products into ordinary situations which are in need of a reliable solution. A Cat5 A/V signal extension is completed by connecting a single shielded Cat5 cable between a transmitter at the local end and a receiver box at the extended location. A one-to-one host-to-display extension ratio sends audio and video over Cat5 from any type of player or monitor device as long as the target player adheres to the required connection specifications; such as VGA (HD15) and 3.5mm audio jacks. No video player or computer hardware is required at the remote end; the necessity includes a miniature Cat5 receiver unit which terminates the Cat5 extension system. Digital signage applications enable the delivery of compelling digital content throughout all enterprise or small project installations. Designed to support diverse applications, A/V extension and video splitter solutions are clever choices for media extension applications. 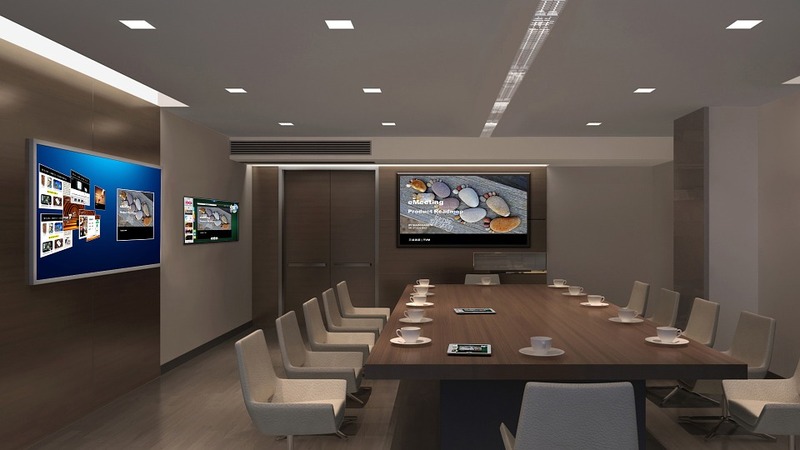 Whether implementing Cat5 extension or wireless products, classrooms, lobbies, and data centers of all sizes will all benefit from Digital Signage media products. A reliable Cat5 Video Display System, or “VDS”, is a hardware driven system that has the ability to transmit hundreds of real-time remote video displays up to 1600 x 1200 @ 75Hz over standard Cat5 cabling. Digital signage video distribution products and systems not only splits one signal into many, Cat5 Video Splitter devices will extend the target video monitors to remote locations using standard Cat5 cabling. Improvements to the VDS include a new remote dual screen remote option which provides simultaneous support for two video displays at the same extended location. Designed to help control the cost of digital signage installations, the VDS Remote Dual Screen enables users with double the amount of monitors in the system and saves on Cat5 cable plus installation costs. Similar to the VDS standard remote, which only supports one extended screen, the dual unit can be connected to either a VDS Broadcaster or VDS Line Splitter. The dual remote option designates the VDS an ideal match for installations requiring two monitors or plasmas in one location. Product line enhancements to the growing digital signage family will provide users with two additional ways to help manage remote monitor and plasma displays. Dual-screen VDS support along with one-to-one A/V extension(s) are ideal for providing unique ways to incorporate Cat5 cabling with digital signage multi-media content. Read more about splitting and extending A/V signals. Multimedia video scalers are considered an important key when displaying alternative video signals, such as from DVD players, onto standard computer LCD and CRT monitors. These scalers will also convert unconventional incoming video signals and properly transmit them to signals that are recognized by digital signage extension and splitter products. A multimedia video scaler will enable users to view television or video graphics on any standard computer monitor with a VGA input. Loading digital signage software on the target systems or remote monitors will not be needed. A Multimedia Video Scaler, or “MVS”, converts composite video and YC to computer based VGA/SVGA thereby allowing the broadcast of both video and audio from a video source, like a TV, DVD or video camera to any standard computer monitor and speakers. Share corporate messages, events, and marketing campaigns while visitors emerge themselves in the environment culture. Have your viewers experience the your brand and entice them with conversation starters. Satisfy all sports fanatics with what they want to watch, where they will see it most; plus, add a few interactive features to entice participation and purchases of fan gear and live action games. 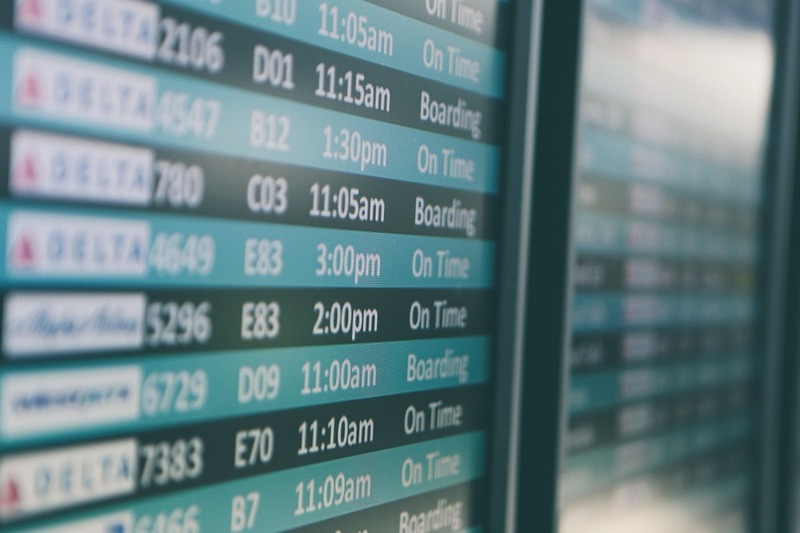 Sustainable display of airplane arrivals and departures broadcasting throughout the terminals, streaming entertainment to help lower stress and raise morale, and over-ride all presentation screens for emergency messages… and that’s just a few communication methods for the passengers. Enabling media professionals to remain agile and competitive via remote-access or relocating computers away from the production environments, edit suites, and control rooms to produce and stream flexible, multi-computer and multi-user operational workflow(s). Setup, rearranging, and relocating integral A/V systems has evolved the needs for an ever-changing environment. Routing and re-routing A/V, whether it’s adding/removing screens, switching up interfaces, or simply a set change, multicasing content around the space with absolute reliability and pristine video quality, high performance KVM tools provides to-the-second solutions. Supporting the high demand of technology needs during the creative flow within an edit suite while allowing teams to work securely across the world while maintaining a single point of storage is perhaps an efficient goal of a streamlined workflow. Digital signage devices like splitters, extenders, and stretchers can help connect the steps from the conversion and storage process to presenting draft sequences. Review some common Digital Signage terms in the Glossary below. A buying decision motivated at the point-of-purchase by such factors as buying convenience, price, promotion, impulse selection, etc. In marketing, possible viewers of an ad. This is sometimes used loosely with the word “target“ to suggest possible catchments of future buying consumers. The key word is “possible.” Some studies have indicated for example that only 7% of audiences are actually seeing TV and that 23% of time golf programming plays to an empty room. A study by the American Academy of Advertising noted that only 7% of TV viewers attended to a commercial break (6% ignored and 86% actively avoided). A simple, cohesive identity or consumer impression of a product, service or organization. Branding increases shareholder equity, allows for premium pricing, enables higher gross margins and allows for easier line extensions, and decreases business costs relative to equity achievement. Brands enjoy statistically higher Return on Investment (ROI). The key word is “identity”. Brand speaks about themselves in their position or aspiration to be dominant, challenger, rank or follower. The actions of gaining a favored view on the part of consumers for a product, service, organization or experience. These actions include advertising, merchandising, demonstration, education (consumers, sales staff, etc.) profile through media, events, etc., co-branding, etc. The measures of branding success include revenues, customer base, share of category revenues, category growth, awareness and perception of brand. (see also Ad model, Venue Model): The costs of Digital Signage network are met in different ways. An “Ad Model“ creates profit through ad display and sponsorship revenues, coupon redemption commissions and marketing intelligence sales. The costs in a “Venue Model“ are considered by the display location provider (typically) as a cost of business or investment toward patron marketing, up-selling, or improving a wait, service or shopping experience. It is common to blend the two business models allowing the benefits of a Venue model with investment offset through sponsorship or advertising. Live private program display and distance learning provide benefit in the both the Ad and Venue Models. A product group that enables a point of reference or comparison with products or services that other similar value or experience of use. Script that has been published in such a way that when its contents change, the updated material is forwarded to machines running the viewer that have subscribed to the channel. Media, clips, text, video and audio that is presented by display and audio devices by a digital signage system. A computer, server, or device that stores the contents that are distributed to the player in the store. Synonyms: broadcast server, network manager, content management server. Acronym for COST PER THOUSAND (“M” is the roman numeral for 1,000). CPM is the costing unit used in mass advertising for calibration and comparison of display rates. The CPM level increases with the quality of the audience and scarcity of display opportunity. Display buys will often be bundled to include a range of more and less attractive display spots. This common practice in TV ad sales increases the overall display contract and “averages down” the CPM rate. CRT, flat panel LCD, plasma, aerial imaging, projector or other electronic devices that are at the end-point of a digital signage system, presenting the content. A network of digital displays that are centrally managed and addressable for targeted information, entertainment, merchandising and advertising. Also referred to as (synonyms): Dynamic Signage, Digital Signs, Electronic Signage, Digital Media Advertising, Digital Signage Network, In-store TV Network, Captive Audience Network, Narrowcasting Network, Out-of-home Media Network, Digital Media Network, Advertising Network. A desire for a product or service. A buying decision is based on brand identity and the impression based on previous purchases and experience of use. Greater output from the same or less input. The way a consumer interprets the identity of a brand. The display of an ad or other content message on the display. “Desire” is not absolute. Creating intensity of desire which will result in revenues is the marketer’s job. 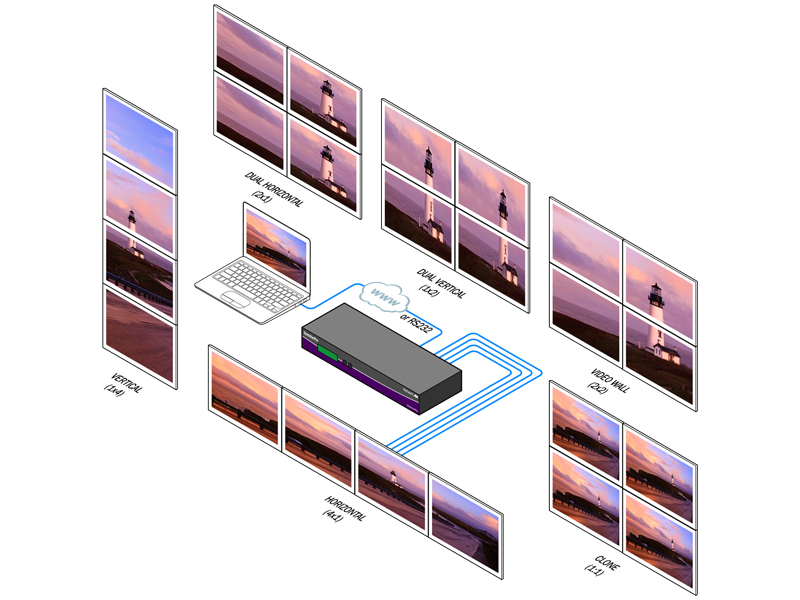 Outputs multiple streams of unique content to multiple display devices. Synonyms: site server, in-Store server. Consistency of message content and tone across each delivery mechanism including executive and staff, ads, packaging, public and media relations, etc. each communications is either brand-building or “de-branding”. Inadequate product knowledge can de-brand (and lose the sale) when prospects arrive for purchase with more knowledge than sales staff. The passion and vision of the CEO is lost without communications to “the front lines” of customer service. Presents content to the display device for presentation. Media that can over-ride planned content when certain pre-determined conditions are realized such as the proximity of a shopper, removal of an item from display for examination or the reading of various inputs such as bar code, loyalty card, biometrics, etc. A schedule defining the order and duration of content to be displayed. Record of information created from the digital signage system reflecting the content played, the system performance and other data. Synonyms: billing log, performance log, audit log. When digital signage display and connectivity infrastructure is used to deliver live programming such as new product instructions, training, sponsored events, etc. , non-ad revenues are generated for the signage network owner. Revenue increase, usually expressed as a % increase over normal. Core relevant information. In addition to its relevance as a quality of content for selling or branding, salience can be a determinant and predictor of immediate trial and revenue growth. There is a “vertical” salience, which is a single individual’s knowledge of a brand, and “horizontal” or “social” salience. Salience becomes “horizontal” when information is exchanged between individuals. First purchase and use of a new product by a consumer. An essential step on the road to recurring revenues. A general rule of thumb is that a prospect will need to hear about a product 7 times before they trial. Total people entering a location. Please describe the topics that have captured your interest.